I have that Kuijken and at least a couple more but could you point me to Sans Souci on H 6 /1-4? 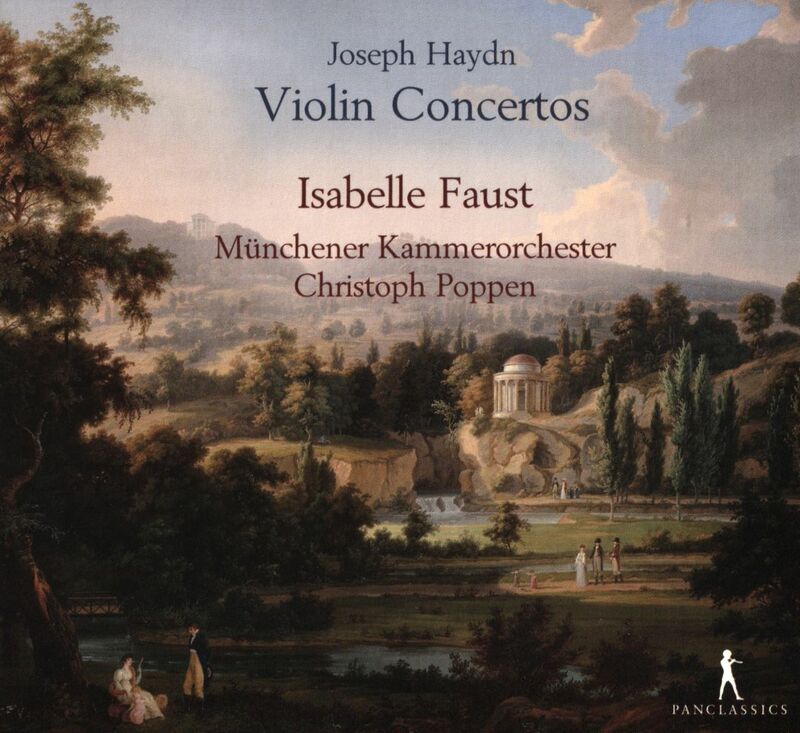 Regarding the violin concertos, there's also a disc by Isabelle Faust (original (?) 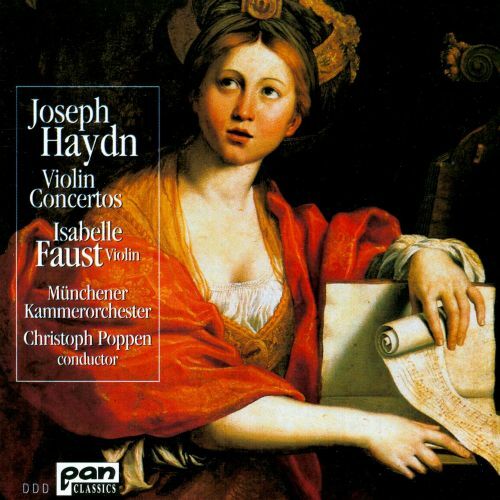 cover and recent reissue cover above) ... would have to relisten but these concertos have so far not made all that much of an impression (I know one of them is on the mixed concertos set I recommended above, I guess that would then be my favourite Haydn VC up to now). You said you had the Carmignola VC's, let me look when I get home, I have a bunch of them (I like Standage, for example, but probably not more than Carmignola). I'll get back on that one. Flute trios have several competitors also. The nicest one, IMO, is the Kuijken brothers. The Sans Souci on CPO are very fine also. Now, if you mean the Flute & Keyboard trios, as opposed to the 2 flutes and cello trios, then also on CPO there is a disk by Camerata Köln that is hard to beat, although dozens try. Patrick Cohen and the Mosaiques guys do a nice job too. The Creation in English is McCreesh. 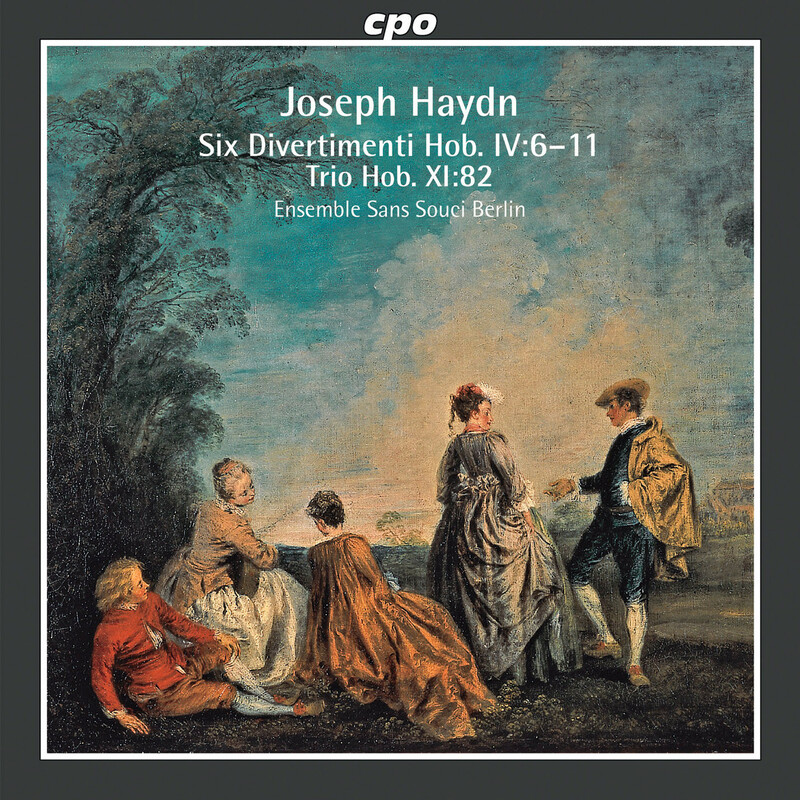 In German, I think I have all the PI ones, and I have to say the Spering on Naxos pleases me as much as any. Harnoncourt is no slouch either. For the Masses, the Rebel Baroque on Naxos is the best choice, although there is a lot of good competition here. For Arianna a Naxos I have easily a dozen and a half, but Andrea Folan with Tom Beghin on Bridge, or better yet the double CD with all 24 of the German Lieder (on Alpha?) is hard to beat. Kuijken and Rampal sets are my favorite here. So no need for a new purchase. I'll get Sans Souci for H4/6-11. I have all Camerata Koln and Cohen/Hobart and QM. I do not listen to them. So this is what I have. Some of them only have #1 & 4, the rest have 1, 3 & 4. In some cases, the filler work is pretty fine, for example, the Podger has my favorite Mozart Sinfonia concertante, and the Wallfisch has one of my favorite Haydn Sinfonia concertante. Midori Seiler is excellent. So is Carmignola and Guglielmo. Frankly, there isn't a loser in the bunch, but the Wallfisch does kill 2 birds by giving a fine SC, although you lose the Concerto in A. Your call, I guess. You can always use Carmignola's #3 and then not worry about it. Gotta say, try this Baryton Trios; if you don't like it, then give up on them for a few years. They are an acquired taste, maybe they need to sit for a while! For the String Trios, choices are thin on the ground. Camerata Berolinensis began a series a few years ago but only got these 2 disks completed. They are well worth the effort to dig up. 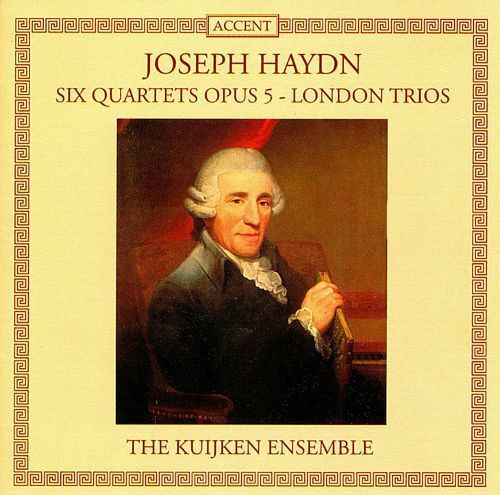 Haydn didn't write string trios because he couldn't write quartets yet, he wrote them because he was inspired to do so and was damned good at it. Here is an outstanding disk of songs, some of the canzonettas and Scottish Songs done as they would have been in a salon. Also, this is the disk of German Lieder I was telling you about with Arianna a Naxos and the 24 German songs. 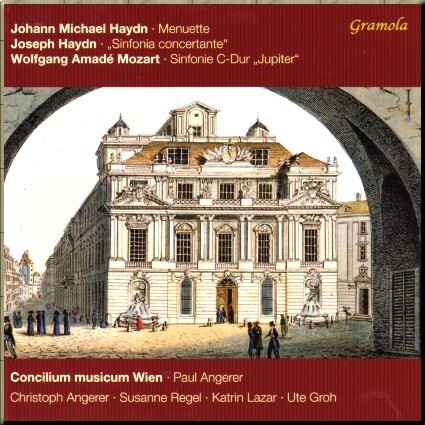 Finally, the Sinfonia concertante. Well, there is the Wallfisch above. 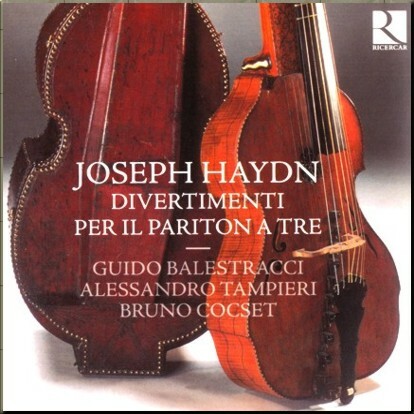 And I really do like this one, the sound of the solo instruments is really quite special (although a modern oboist would probably go 'yeewww'). Screw a modern oboist anyway. There are others in this vein, but this will do for a start. I've tried two sets for a while, Esterhazy and Lukacs, but no, I'll stay out of these. Pronouncements such as this make me smile. You'll smile a lot if you read this site regularly. Beghin is probably the most meticulous keyboardist out there. He will use exactly the right keyboard for a particular piece, and if it doesn't exist he will have one made (his Complete Keyboard Works on a Blu-Ray disk on Naxos is pretty amazing). Just a note in case you and I aren't right in tune: Midori Seiler (bio here) is NOT Midori (bio), she is only a Baroque violinist AFAIK. Very good too. I’ll go further: if you aren’t smiling while reading GMG, ain’t nobody’s fault but yer own. And a Classical/Early Romantic era violinist, surely - Beethoven, Mozart, Haydn, Schubert, Mendelssohn are big parts of her repertoire. Yes, but 'Baroque Violinist' is, like, a job description rather than a limit on her repertoire. For example, Rachel Podger is also a Professor of Baroque Violin in London. Yep. That 4 Seasons is delightful, too. She's also the concertmaster in e.g. Immerseel's Beethoven symphonies. She's also the concertmaster in e.g. Immerseel's Beethoven symphonies. It's an interesting idea. If we talk about the HIP field, almost every violinist started as a Baroque violinist, except those coming from a mainstream training (as Viktoria Mullova, for instance). Keyboardists are a different story because the instruments themselves mark clearly a limit between Baroque and Classical Era. True. I wonder, other than Badura-Skoda, how many Baroque/Classic keyboardists began life as successful modern players and then had to relearn everything when they switched over to period keyboards. When I say 'relearn', I am also including, besides authentic ornaments etc, the different expressive capabilities and also the expectations for things like repeats. All the wonderful expressions which modern keyboard players use were really developed in the 19th and 20th centuries, thus they are not authentic. Somewhere (here?) we discussed the idea of Beghin, for example, sounding 'academic' because he eschewed many of these devices which didn't actually exist yet in the time the music was written. I guess what I am asking, is does anyone think it easier to learn something like period keyboard style if one doesn't have to UN-learn modern style first? Are there really any performers who did not start as modern instrument players? Perhaps they switched during conservatory years, but how many kids ever came home and said, "Mom, I want to play the harpsichord/viola da gamba!" One example is Bart van Oort, who studied period keyboards in college (Cornell) under Bilson. Another is Tom Beghin. But I was actually talking about someone who has had a successful career as a modern pianist and then switched over. You are probably right that someone's first touch of a piano key was on a modern piano, hard to be otherwise. But Badura-Skoda was hugely successful before he ever touched a fortepiano. Ingrid Haebler is another of those. Bilson? IDK. The other one that comes to mind is Schiff, who moves back and forth. He is still known as a modern pianist, but he does very well on fortepiano, even adopting the idiom. Page created in 0.401 seconds with 31 queries.